Just the words “juice cleanse” can bring thoughts of hunger, struggle, and lack of energy. Yet, in my experience I have found juice cleansing simplifies life and gives a boost to my days. I make enough juice each day and drink as much as I want or need. I notice some tired moments where the lack of protein affects my energy, but I also attribute that to my training. As a professional athlete, I’ve learned a juice cleanse is all about timing. Outside of high-volume training, the juice cleanse is more just a mater of sticking to it. 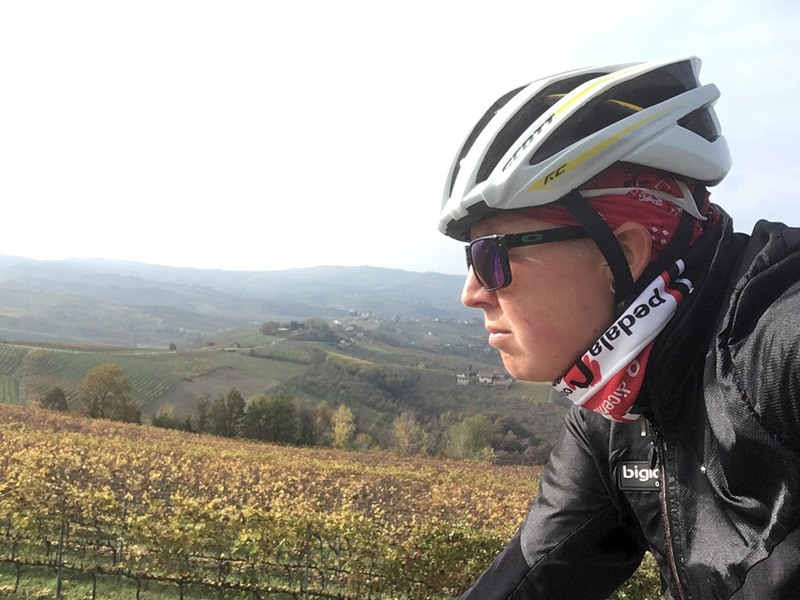 But during the season I recently learned my body fatigues more easily and lacks long-term energy for endurance during training. 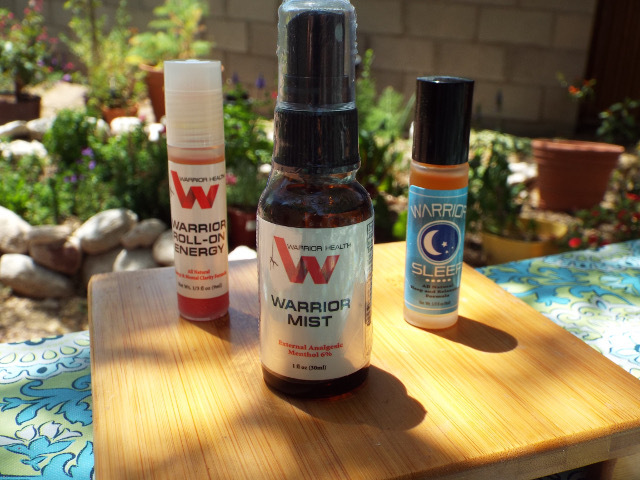 Juice cleansing is not easy, but nicely supports my training, racing, and recovery. This past week I have gone through a pretty tough round of cleansing. I did five days total in which three days were juice only. I have done cleanses before and even for long amounts of time, but this was by far the most difficult I have ever done. Not because of juice quantity, or hunger, but because of training and energy. The last time I did a cleanse was before my wrist surgery last fall. I was still training, but not as heavily or intense as right now since the racing season is underway. 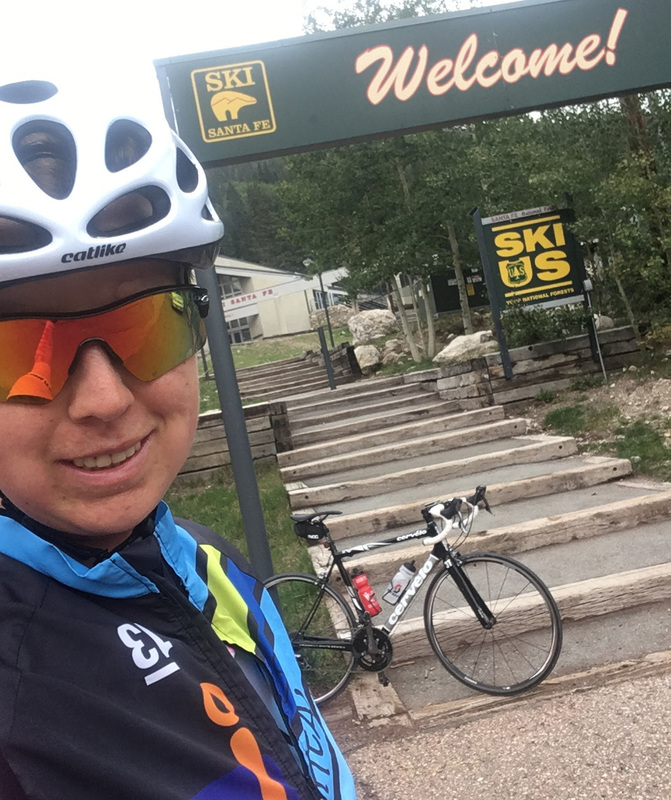 So when I recently had two hard days of four-hour rides/workouts, my body felt the effects of having no solid substance. I admit I did “cheat” a little and eat grapefruits alongside the juice. It helped fill my stomach and give me a little more fiber and sugars for my workouts. Other than raw grapefruit, I followed my cleanse routine: lemonade first thing in the morning, followed by herbal tea, and then fresh juice during the day. As usual, I added Rejuvenate! superfoods to my juices to help with energy, recovery, and needed vitamins. Juice with superfoods is a nutritious combination. From my past experience it takes about three days for my body to adjust to the diet. Considering my current training and focus on preparing for races, I don’t think it would be beneficial for me to do more than three days cleansing, especially on juice alone. The purpose of this cleanse was to replenish my body with hydration and nutrients, whereas solid food is not as efficient. So despite some reduced energy and power, my body feels replenished and recharged. This makes it worthwhile! 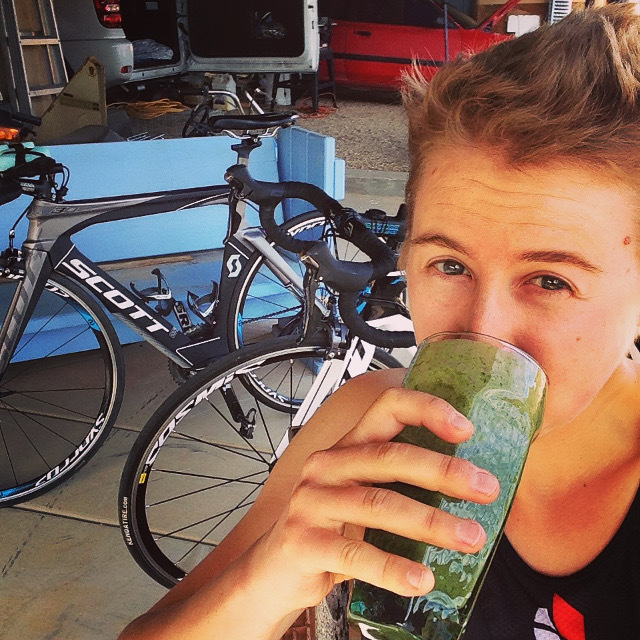 As a professional athlete, it is important to tune into how my body feels and what it needs. I was not able to commit to a long cleanse, but as with so many things, every bit helps. If you are thinking about doing a cleanse, this short 3–5 day cleanse could be a good stepping stone to see how your body reacts. 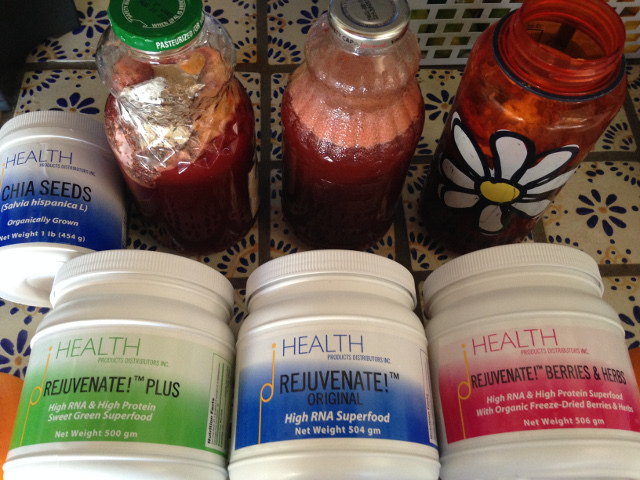 One key component that I include with my juice is Rejuvenate! superfoods. This gives me the vitamins my body needs to recover after hard workouts, so that I can get back out and train hard again the next day. I use one-quart glass bottles that I reuse from store bought juice (lemon from my cleanse). I fill it about halfway with juice to leave room for supplements and shaking. This is the recipe for the smoothie I drink after my workouts and even just during the day when I am not training. It helps fuel me and gives me energy to last the whole day. It’s packed with vitamins and healthy ingredients. The taste is a bit interesting. I love the mix of lime, ginger, and chocolate that is like no other smoothie I’ve ever tasted. My power smoothie is tasty after workouts or anytime. 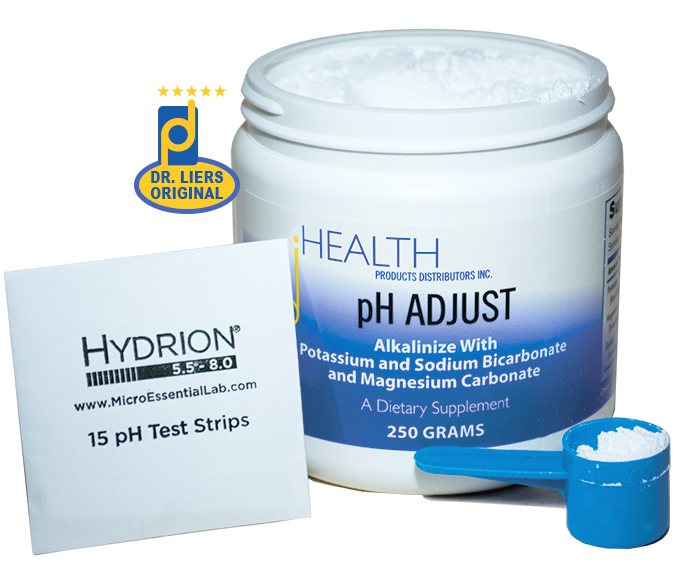 Last month I wrote an article about dietary nucleic acids for athletic performance that focused on HPDI’s Rejuvenate! superfoods. I must admit, I learned a thing or two about the very superfoods I’ve helped develop. For example, I reviewed the studies done in the 1960s and 1970s by Dr. Benjamin S. Frank both using human subjects and laboratory animals. Indeed, Rejuvenate! superfoods are formulated to provide therapeutic levels of dietary RNA for optimal health, healing, recovery, and overall performance, including athletic performance. 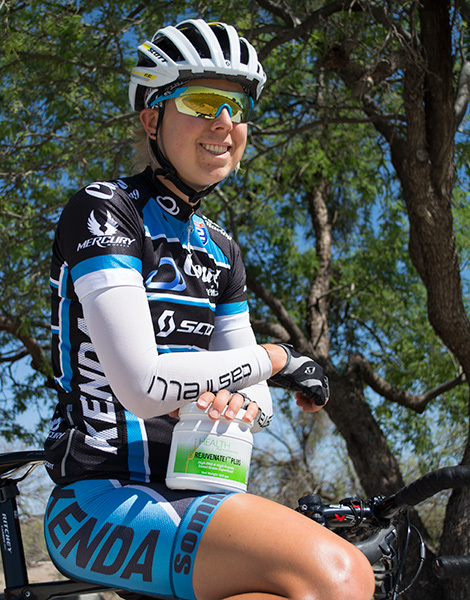 How notable then that March was the month we took on a sponsorship of professional cyclist Irena Ossola. 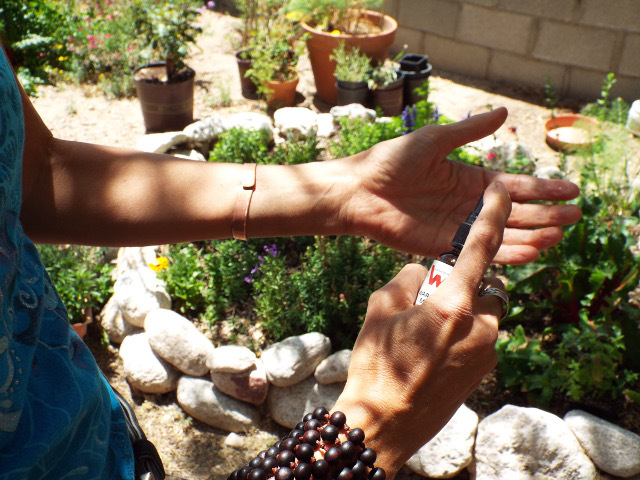 She approached us after having tried our Rejuvenate!™ superfoods (specifically Rejuvenate!™ PLUS and Berries & Herbs), which she initially “borrowed” from a friend. After having tried it a few times, she noticed a definite improvement in her performance and her recovery. 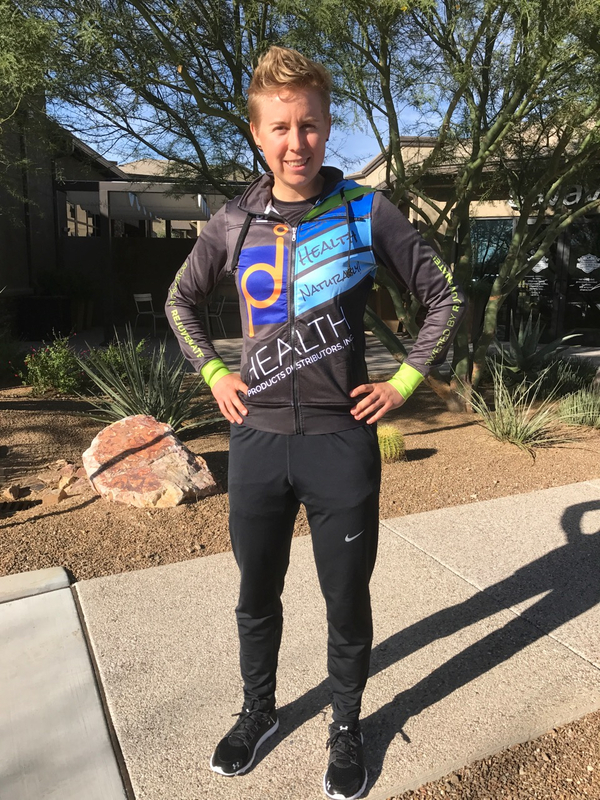 Irena then approached us, and we have taken her on as as a sponsored athlete. 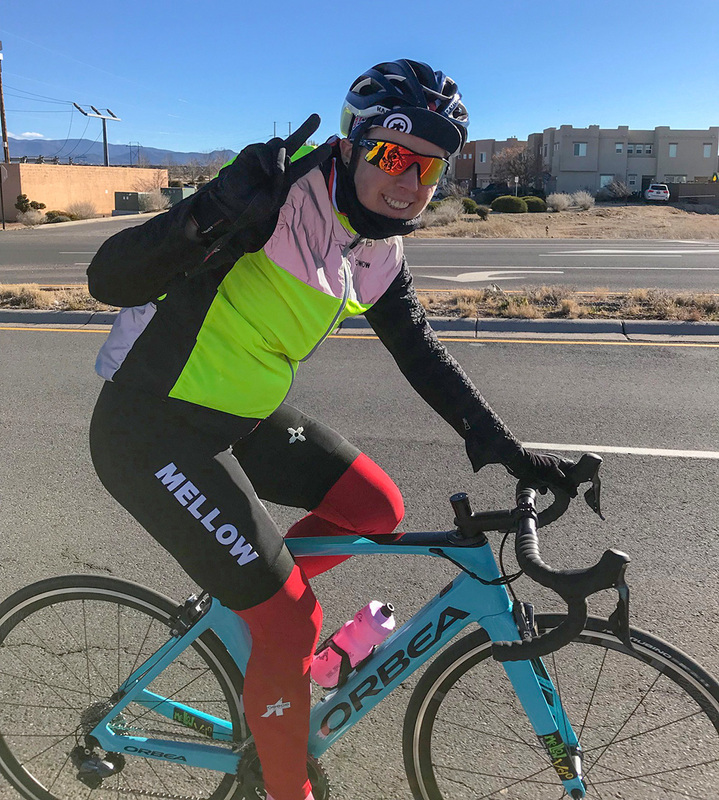 Truthfully, we are just as excited to have Irena use and test our superfoods in the world of pro cycling, as she no doubt is to have Rejuvenate™ superfoods (and other foundational supplements) as part of her nutritional program. And of course, to gain the benefits they confer for athletic performance. You see, we’ve read the research studies conducted by Dr. Benjamin S. Frank. We’ve taken Rejuvenate! ourselves. We’ve seen the benefits accrue not only to us, but also to family members, friends, employees, and many customers, including athletes. Indeed, our customers who are athletes report excellent results to us. These customers include runners, cyclists, surfers, hikers, and others. 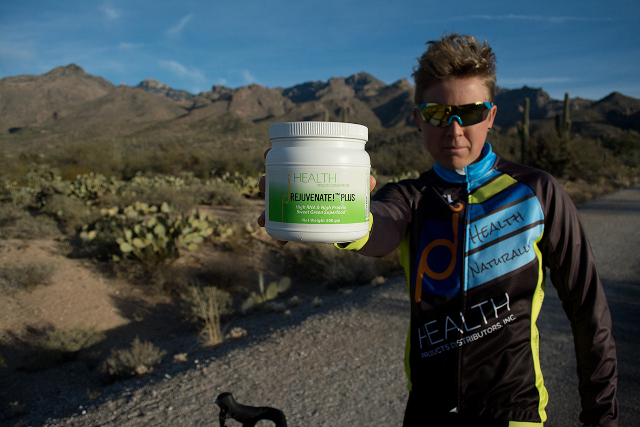 Until now we haven’t had a pro athlete who can put our superfoods to the test. Why are we so excited? 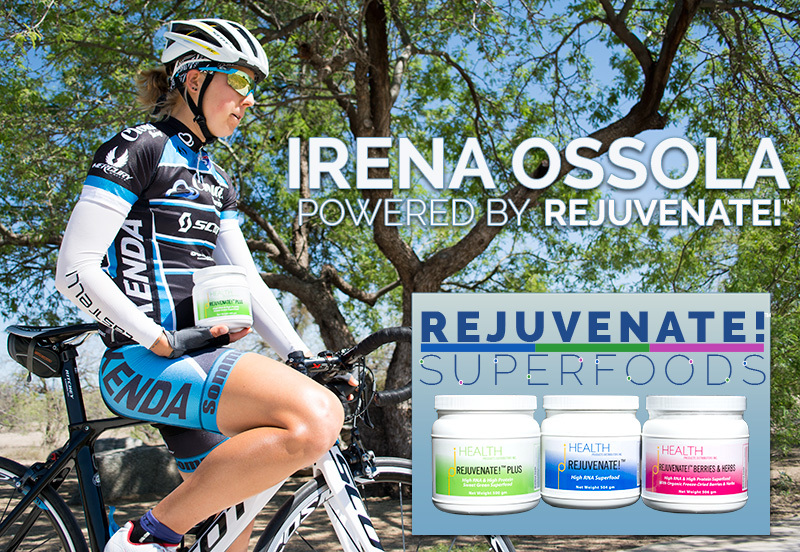 Because we believe in our superfoods and supplements enough to know that they not only will provide significant nutritional benefits, but also offer unique benefits supporting the intense (and extreme) exercise Irena and other athletes like her perform while training and competing. The benefits of dietary nucleic acids include powerful anti-anoxic (tissue oxygenating) effects, as well as muscle building (i.e., creating lean muscle mass in response to exercise), faster recovery, improved endurance, and other benefits from dietary nucleic acids that accrue to maximum levels when the body is exercised at high levels. Of course, everyone makes gains in health when consuming nucleic acids in foods and superfoods like Rejuvenate!™. But the combination of exercise and nucleic acids definitely produces the greatest results, at least when it comes to athletic performance. It turns out that when we ask our customers who are athletes about their experiences with Rejuvenate!™ superfoods, we routinely receive feedback similar to that reported by Irena Ossola and Chris Pings. Every Rejuvenate! superfood is unique, but all provide dietary nucleic acids for optimal health. You can read Mike Adams’ full review of Berries & Herbs on NaturalNews.com. 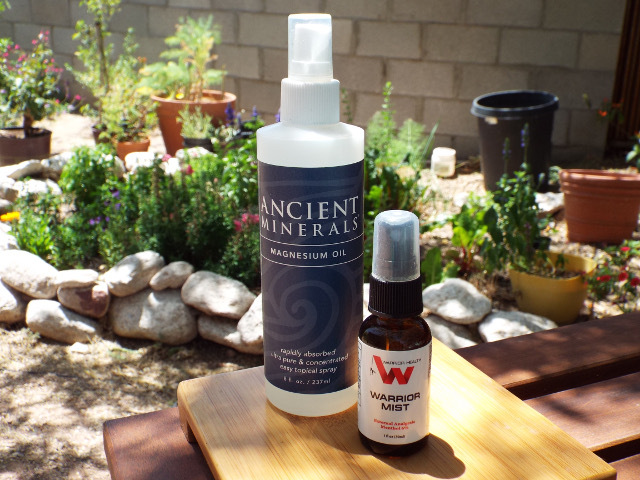 You can read Mike’s full review of Rejuvenate!™ PLUS. 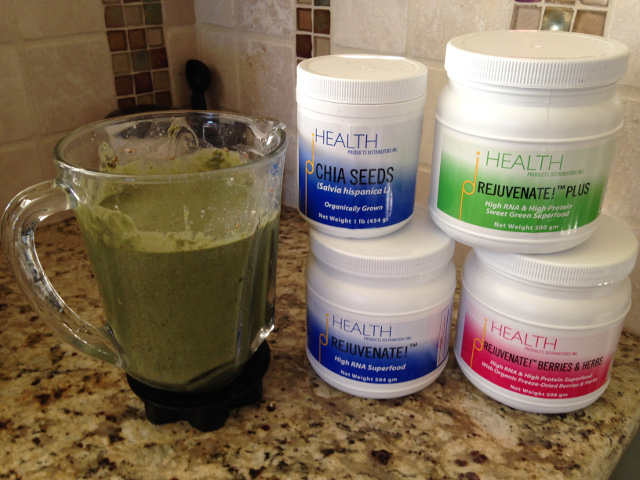 We at HPDI are grateful that Mike Adams has always appreciated the advanced formulation of Rejuvenate!™ superfoods. But he is hardly the only person to appreciate the science behind them. What follows in his review is an extensive discourse on the uses of Rejuvenate! PLUS for healing, detoxification, and even survival. He writes that the “completeness of the ingredients distinguishes this product from others” describing the nutritional balance of PLUS. 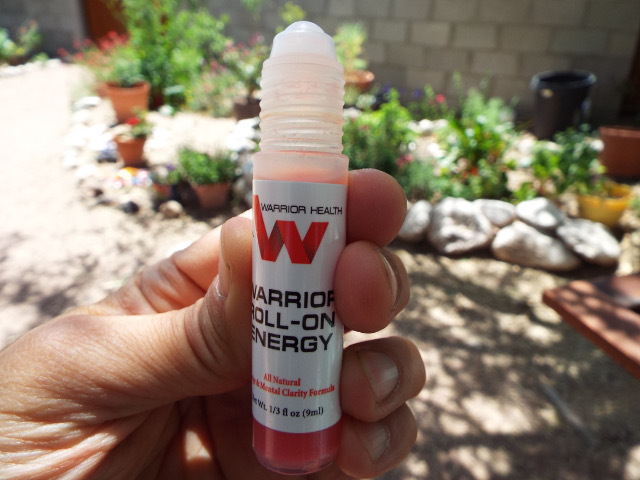 “What surprised me most was that it even tastes great by itself with just water. 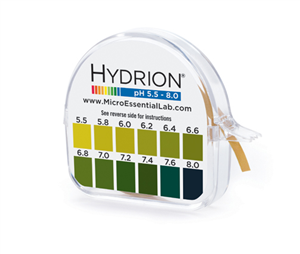 In all my years I have not been able to take spirulina with only water. 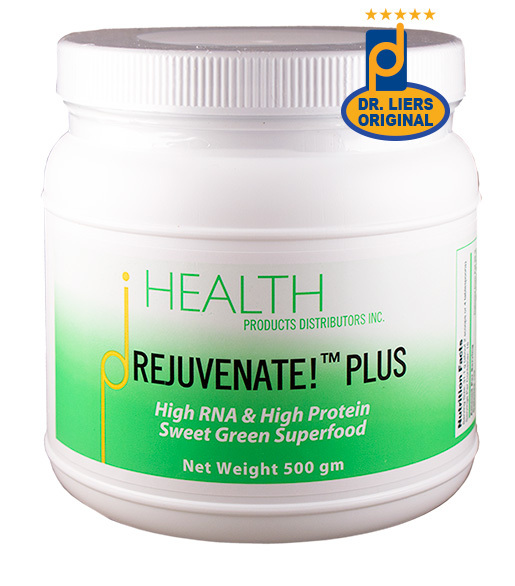 Rejuvenate Plus is a dream with juice, so mixing it in smoothies or blender drinks with fruits, nuts, berries, and/or grains or nut milks is more than wonderful.” – Dr. Mark Sircus, LAc. Dr. Sircus has since tried all the Rejuvenate!™ formulas, and he recognizes the value of each one. We are especially pleased that he includes them in his various health protocols. Rejuvenate! superfoods provide dietary nucleic acids for optimal performance. 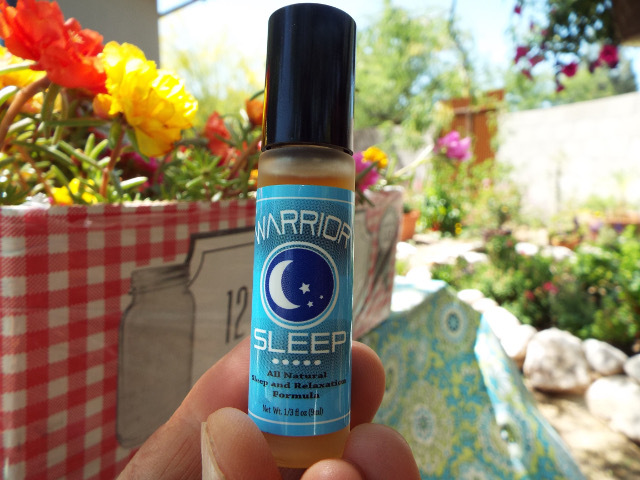 She further states that when she first began using it, she “slept much sounder at night” and “could feel an increased energy shortly after drinking a couple of teaspoons” of it. She concludes by describing PLUS as a “difference maker” and that she can feel this difference when taking just one tablespoon daily. We at HPDI find her statement interesting because a normal serving size is four tablespoons (about 31 grams), which is two scoops providing 340 mg of dietary RNA. Her statement us that she gains benefits from just 85 milligrams of dietary RNA daily (plus all the other nutrients in the formula). This amount corresponds with Dr. Benjamin S. Frank’s findings (reported in Nucleic Acid Nutrition and Therapy) that as little as 75–100 mg of RNA daily provides noticeable benefits. Dr. Benjamin S. Frank not only recognized that relatively small amounts of RNA could exert “clear and marked beneficial effects” and remarkably improve how his subjects felt, but also used this fact as evidence supporting his assertion that dietary nucleic acids are essential nutrients for health (117). 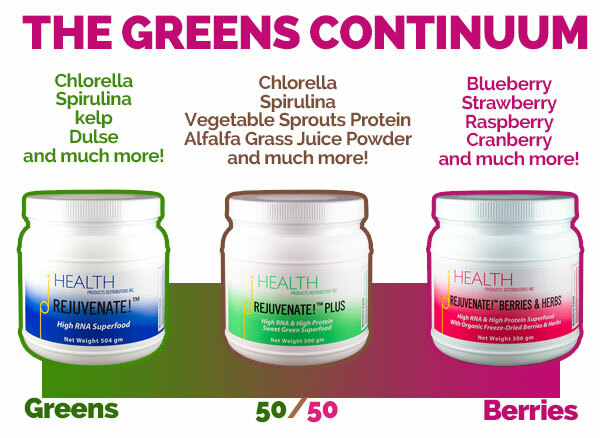 If the reviewer gets beneficial results that make a difference for her health from a single tablespoon of Rejuvenate! 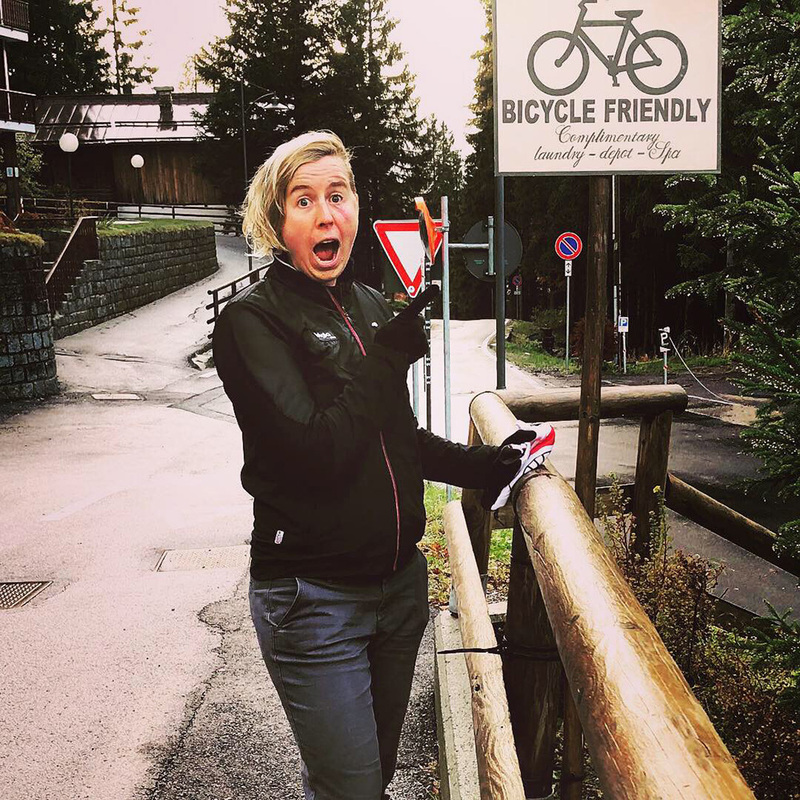 PLUS, then how much more benefit might a person — such as an athlete like Irena Ossola — gain from taking higher levels of it? We hope to find out! 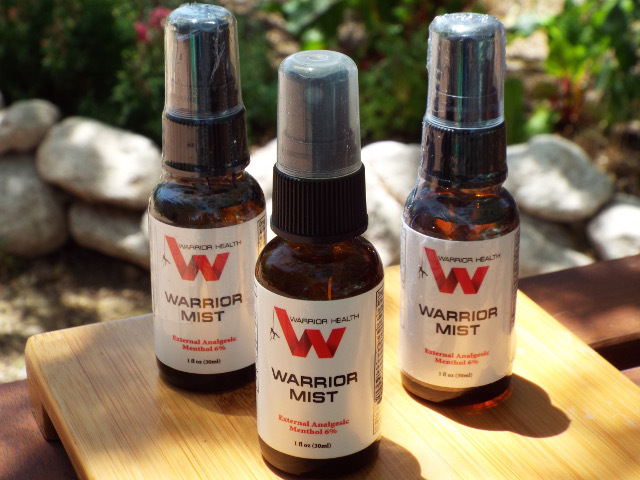 Dr. Frank reported that 1,500 mg daily RNA is an optimal amount for human health. More recent evidence suggests that amounts as high as 3,000 mg daily can be utilized effectively under conditions of extreme exercise intensity. For example, Olympic-level athletes or individuals engaged in professional sports. WELCOME, IRENA & TEAM CLOUD! We are pleased to sponsor Irena Ossola and her team, Cloud Racing. We especially look forward to seeing her performance improve as she incorporates Rejuvenate!™ superfoods and other foundational supplements into her regimen. Go Irena and GO Team Cloud!! Superfood for Cellular Survival – by Dr. Mark Sircus, L.Ac.